We made a mistake, we listened to you, and we apologize. #DuckDynasty products are back in our stores. This incident just goes to show how much mighty muscle the silent majority can really flex when it wants to. The Duck Dynasty Debacle is a prime example of why we shouldn’t be overwhelmed or intimidated by all the Sturm und Drang churned out by the Left-wing Media—it’s the deeper currents of the cultural ocean that will slowly move America in the Right direction. I also heard that Walmart is selling out of Duck Dynasty products faster than they can restock their shelves. Hooray! This entry was posted in Lesbian/Gay, Media/Arts/Entertainment, Political/Social and tagged A&E, Cracker Barrel, Duck Dynasty, GLAAD, Ted Cruz. Bookmark the permalink. 7 Responses to Duck Dynasty Rules! What an excellent chart! I will never understand this blatant hypocrisy, EVER! But then again I know I am preaching to the converted. I will look into GLAAD’s funding sources. My husband and I were going after the companies that advertised on A&E, until they reversed their decision. I am sooooo very sick and tired of this double standard. GLAAD’s sponsors include Comcast, Wells Fargo, Microsoft, and IBM. Also a lot of foundations that need scrutiny. I am on it! I will be contacting Wells and Comcast since we are currently customers. We have been looking for another reason to leave Wells! Great post. Why isn’t there a “like” button up there for me to click on? Merry Christmas. 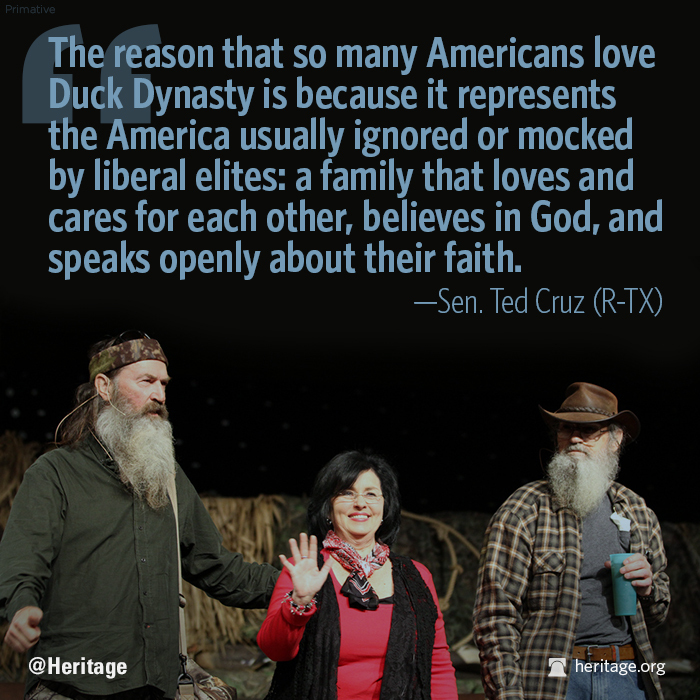 I support Duck Dynasty. Christians stop being bullied by the left. Stand up for your Bible. Christians and conservatives alike need to get aggressive and start playing hard-ball as they say. Start going after GLAAD’s funding sources and make those companies corporate lives a bit more uncomfortable. It can be done. We are way too passive.